The Indian Administrative Service is the top and most prestigious administrative civil service of Government of India. The IAS officers hold the key and strategic positions in Union government and public sector undertaking. 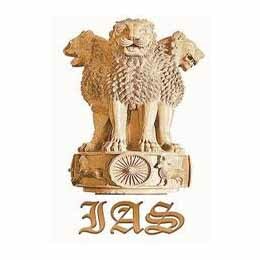 The IAS officers are recruited along with IRS, IFS, and IPS through the exam of Union Public Service Commission (UPSC). It is considered a very difficult exam. Along with the Indian Police Service (IPS), and Indian Forest Service (IFS), IAS is one of the three all India services. Its cadres are employed by central and state Governments. IAS was constituted in 1946. Prior to IAS, Indian Imperial Service (1883-1946) was in existence. At the beginning of their career IAS officers join the state administration at the sub-divisional level as a SDM and look after law and order. The candidate must be graduate from any recognized university to apply for this prestigious job. Every year an exam is scheduled by Union Public Service Commission. This is considered as the toughest exam in India due to its extreme competitive nature. For example: In 2012, more than 5 lacks students applied for this exam from which only 170 were finally recruited for IAS. This is the toughness of this examination. To maintain Law and Order and general administration in his working area. Handle the daily affairs of the Government. Functions as Executive Magistrate, Chief Development Officer/District Development Commissioner. Policy formation and decision making.